TV star, Victoria Jackson formerly of "Saturday Night Live" flew in from CA to participate in our Nashville rally. Victoria performed at a few of our west coast rallies. The audiences love Victoria's outspoken honesty, humor and funny songs. Written in response to Obamacare, they particularly enjoyed her latest hilarious song, "I Hope I Don't Get Sick" which Victoria wrote while we were traveling on the Tea Party Express bus. Through chatting with Victoria on the bus, I learned she is a Christian woman of great character who stands on principles. It is not easy to be a conservative in Hollywood. Acting jobs are not easy to come by. Victoria was asked to audition for a movie role which went against her values. Victoria said, "no". Awesome! Fox News contributor, Angela McGlowan's powerful speech touting conservative principles fired up the audience at our Tupelo, MS rally. 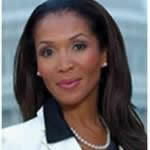 Angela is making history as the first black republican woman to run for congress in Mississippi. 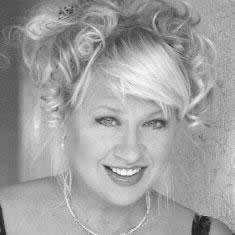 TV star, Victoria Jackson formerly of "Saturday Night Live" flew in from CA to participate in our Nashville rally. Victoria performed at a few of our west coast rallies.